On our way to Calpe!… and the Magical Mt Ifach! 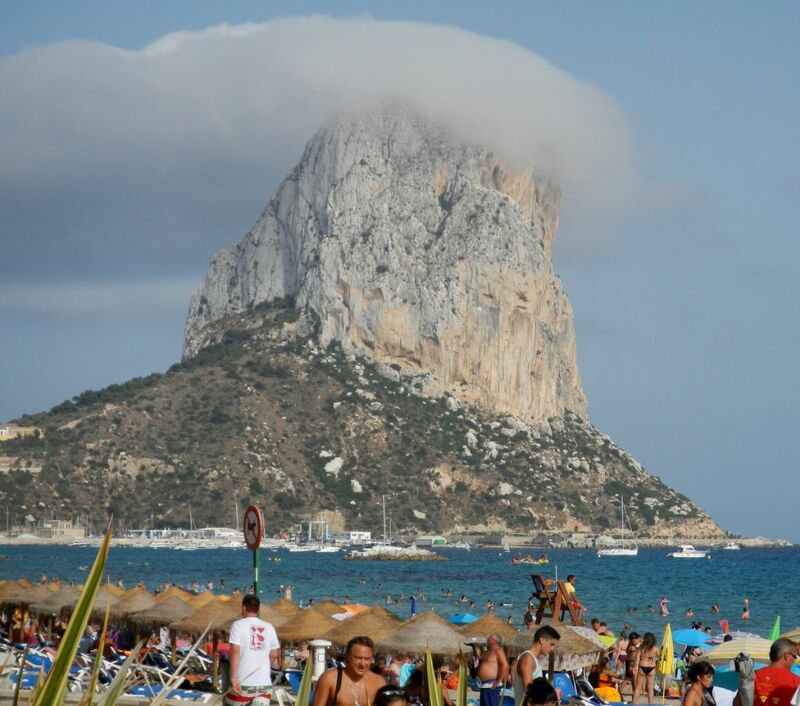 The enormous rock Mt Ifach – a challenge to many a visitors every year! On our way to Calpe! 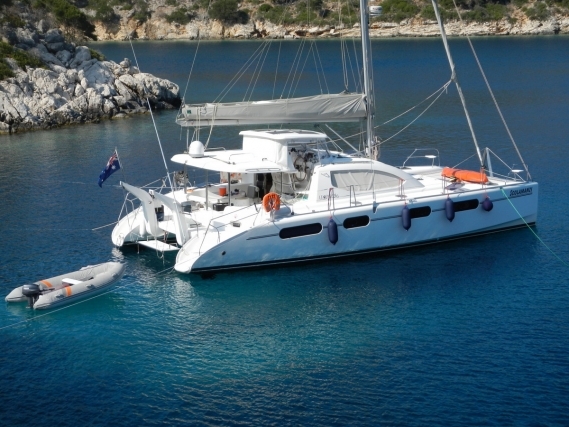 We were restricted to choose very sheltered bays against the Southerly wind and Calpe has been the choice for the night! 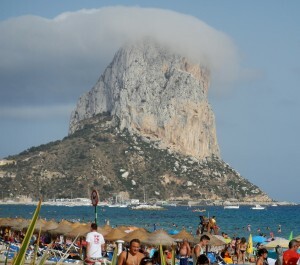 The sight of Mt Ifach appeared in our sight and we knew that it will be a 2 day stop at least! 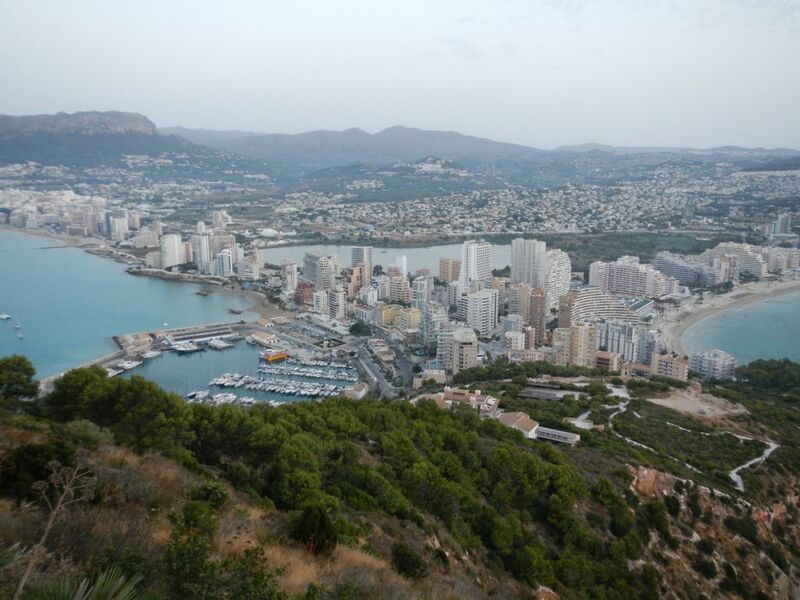 Reading up about it, climbing the mountain is one of the top 10 must-do-things in the Costa Blanca! The view from there must be spectacular if you look at the height (1089ft) of it!… and the fact that it is situated on a very narrow peninsula will give you a view to both sides of it…the long stretch of beaches to the west and the mountains and town to the right! 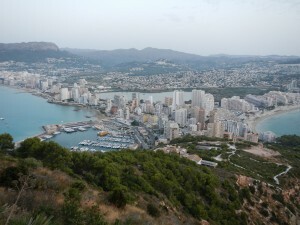 On a clear day you can even see the next big city of Benidorm! Getting closer to the mountain revealed how steep the cliffs are and we could see climbers on the western side (through the binoculars) … and it looked pretty scary! 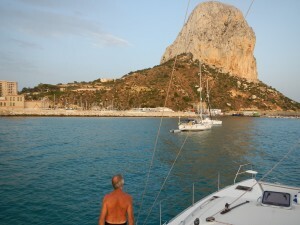 We anchored just outside of the harbour right underneath the massive mountain which forms a great backdrop to our view! 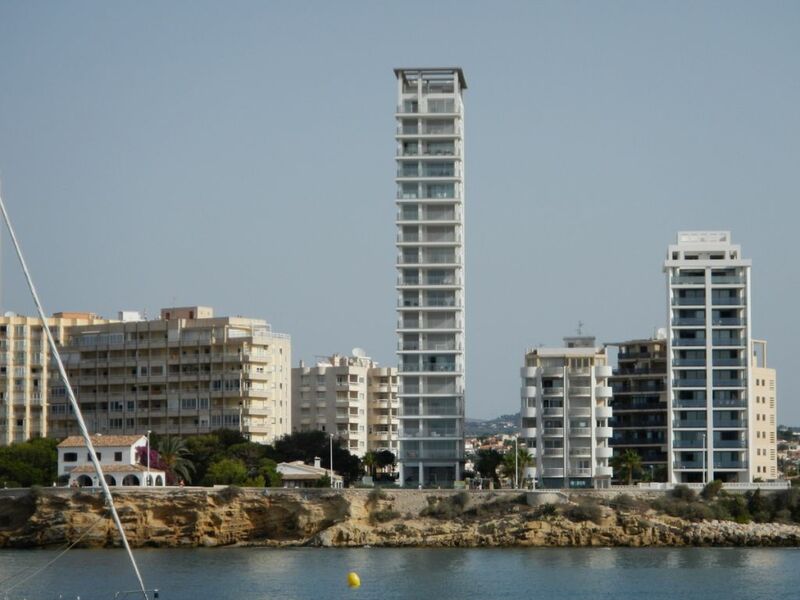 We were amazed by the one building on the beachfront that is pretty high but only two rooms wide! Certainly the narrowest “high-rise” we have seen! 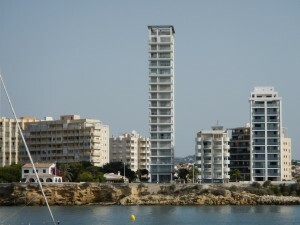 Calpe : The narrowest building I have ever seen of this hight! The swimming is great but we needed to stretch our legs for a change and went ashore for a walk. Calpe’s old town (now interwoven with the new) has wide avenues with more modern buildings than old architecture unfortunately. 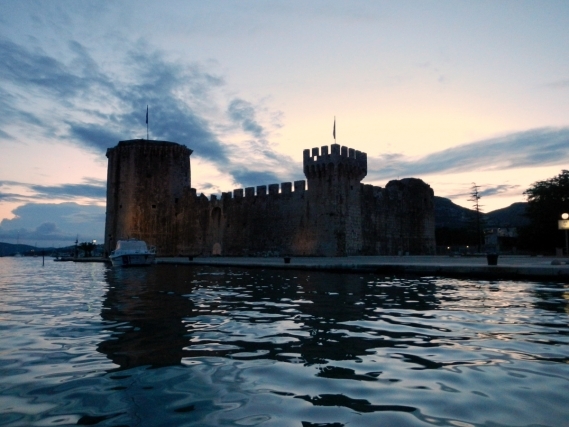 The town is about 3000 years old… with not much left to remind you of its age. 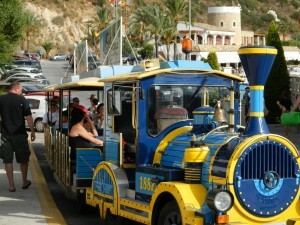 Having a drink at Royal Club Nautic Calpe just to notice that there is a little train taking you around the city. It is a deceivingly big place and with the wind slightly picking up we did not want to stay away from the boat for too long. The train ride of 45 min was all we could fit in (so much for stretching our legs!). From a distance we could see how a cloud is forming on the top of Mt Ifach … indicating the wind has certainly picked up and we hurried to make our way back. 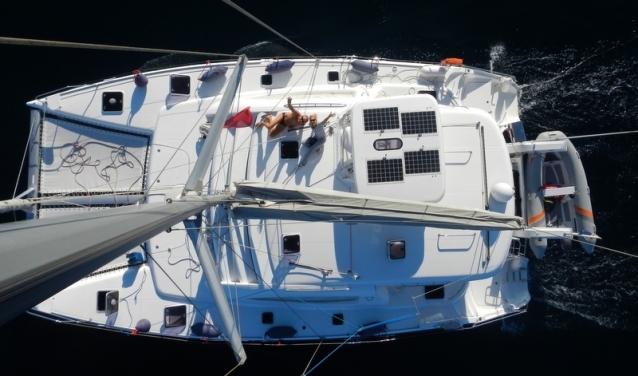 It is in any case a good idea to get back to the boat before all the power boats lift their anchors to go home just in case they accidently pick up you anchor line and dislodge your anchor. As soon as we got there the day-trippers were getting nervous and it almost looked like they all got a cue to leave! The big exodus started and within no time we were left with only about 5 or 6 yachts around us for the night. 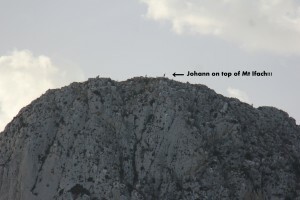 Johann right at the top of Mt Ifach! He came back (after 2 and a half hours) with amazing pictures, soaked with perspiration but all smiles! Listening to his experience of the climb … made me wonder if I should not do it on our way back? The history takes you back many thousands of years when the name was given by the Libyans and means “to the North” after they have seen the Rock of Gibraltar to the South. It has been declared a National Park since 1987 due to its richness in fauna and flora. There is a pretty walk and an easy one on a designated paved way (with stunning views from the different platforms over the city and harbour/marina) of about 15-20 min to the entrance of the tunnel in the mountain. That takes you to the other side of the mountain (you can only walk on the eastern side). From there the scary part started. Walking along the sheer perpendicular drop of the cliff holding on to a thick rope for support and no other safety measures or paved paths! – it takes you to the top from where you can have a view to both sides of the mountain… it looks amazing and a photographer’s dream! 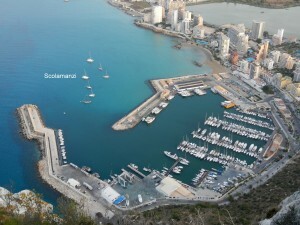 The view of the harbour in Calpe … from the top of Mt Ifach! What a view! The giant seagull (the coleopterous or silver seagull) is known to bread in large colonies on the mountain and as Johann said – they are almost the size of a vulture! That is probably also the reason why there are that many cats roaming the cliffs…plenty of feathered food around with all the chicks there! 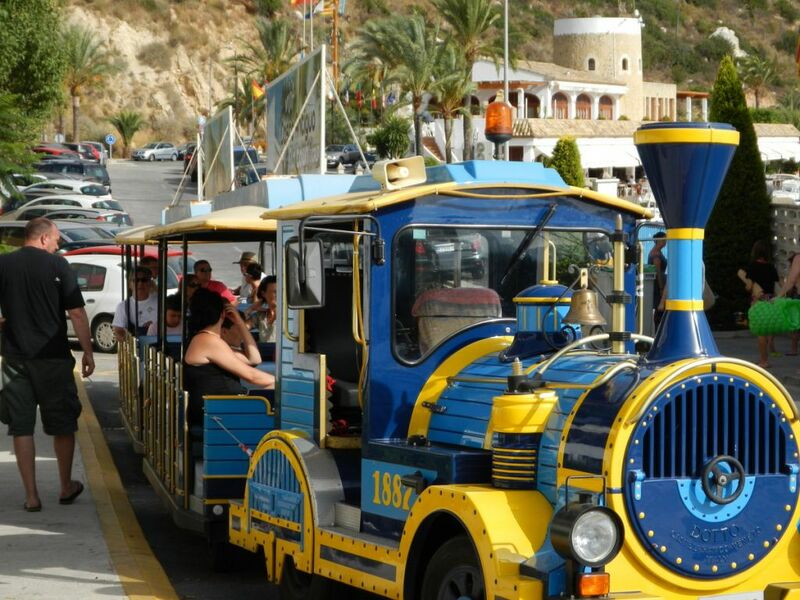 Looking at the pictures certainly explains why it is one of the most popular walks in the whole of Costa Blanca!